The financial aid that China has been providing African countries to stimulate their economic growth has strengthened peace and stability in the continent, experts said on Friday. Speaking at China-Africa cooperation in governance, peace and security forum in Nairobi, the experts said Beijing’s economic and diplomatic muscle has been instrumental in stabilising the world’s second largest continent. Peter Kagwanja, CEO of Nairobi based pan-African thinktank Africa Policy Institute, which organized the forum, said that peace, security and governance had gained traction in China-Africa bilateral cooperation. “China-Africa relations have for decades been defined by development but now a conversation to engage in matters of governance, peace and security has gained momentum,” Kagwanja said. Senior policymakers and scholars attended the Nairobi forum that sought to stimulate debate on strategic engagement with China to tackle Africa’s governance and security challenges. Kagwanja said that China’s no strings attached support to Africa’s socio-economic transformation agenda is providing durable solution to the crisis of poverty and youth unemployment that has fuelled civil strife and insecurity in the continent. Martin Kimani, director of Kenya’s National Counter-terrorism Center, said that many African countries have showed interest in the Chinese model of addressing root causes of instability that includes poverty and inequality. “The Chinese development model that has focused on wealth creation and elimination of mass unemployment is at the core of Africa’s bid to promote peace and security,” said Kimani. David Monyae, co-director of the Confucius Institute at the University of Johannesburg, said that African countries could leverage on China’s diplomatic influence to advocate for innovative conflict resolution models. Monyae said China has promoted development that is peaceful and harmonious and African countries will stand to gain if they follow similar path after dealing with a host of political and economic challenges. He noted that China has rallied behind multilateral programs to promote conflict resolution in Africa. 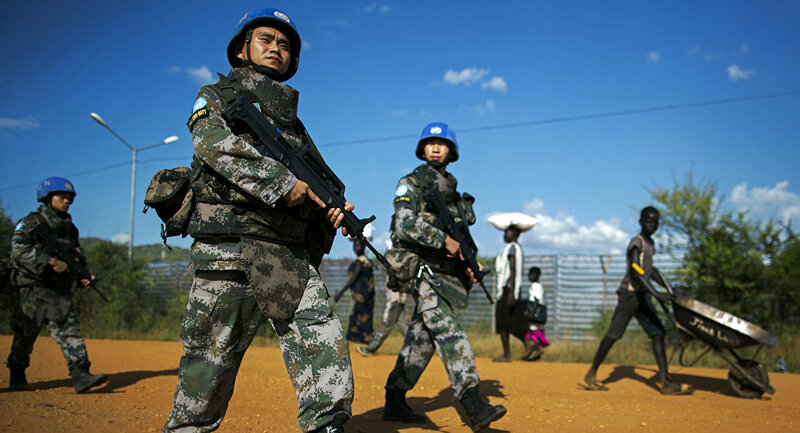 Abdul Rahman Lamin, a program specialist at UNESCO Regional Office, said that strengthening Africa’s peace and security architecture should underpin the next phase of bilateral cooperation with China.